Saudi has pressured the United States to weaken Iran – especially its nascent nuclear program. This was famously captured when Wikileaks released a 2008 correspondence from then-King Abdullah, pressing the U.S. to “chop the head off the snake” and attack Iran. 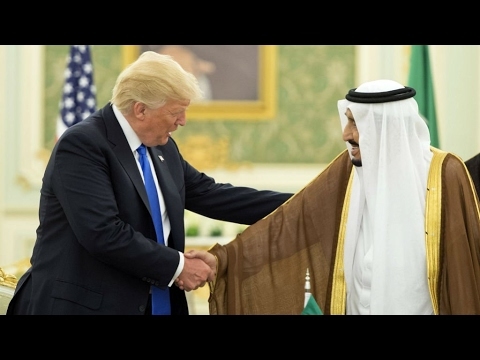 Under the Obama administration, Saudi–American relations weakened because of the administration’s disengagement from the Middle East. Relations particularly deteriorated in the wake of the Arab Spring protests in 2011. My research has shown that the Saudis, and other monarchs, rode out the wave of protests better than republics in the region. Repression at home has also led to a more adventurous foreign policy abroad by supporting proxies in Syria and Yemen without coordination with the United States. The Saudis also have directly intervened militarily in next-door Yemen to prevent the Houthi movement, a Shi’ite group from northern Yemen, from emerging victorious in that country’s civil war. The Saudis accuse Iran of supporting the Houthis. The Saudi-led campaign, however, has not resulted in a quick victory. Instead it is contributing to another stalemated humanitarian emergency in the region. The Trump administration may find congressional opposition to the arms deal because of the Saudi’s possibly using these arms in Yemen.